We are personified as market leaders in this field with our professional approach, business acumen, advanced technical and technological workflow and most importantly a creative and open mindset. Having been in the yacht industry for over decades, the expertise and experience we bring in and demonstrate is second to none. 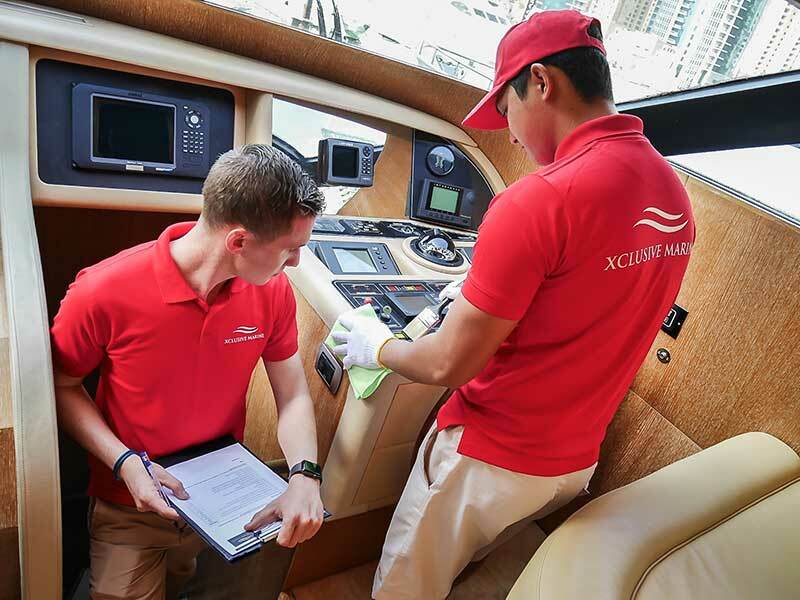 The team at Xclusive Marine is well equipped to deliver the complex demands of each customer with a personal touch. Quality, experience, manpower and customer service is what differentiates us and make us experts in catering to any client with any type of yachts. We at Xclusive Marine are Responsible for your Yachts! The reasons for choosing Xclusive Marine as your trusted partner are many. 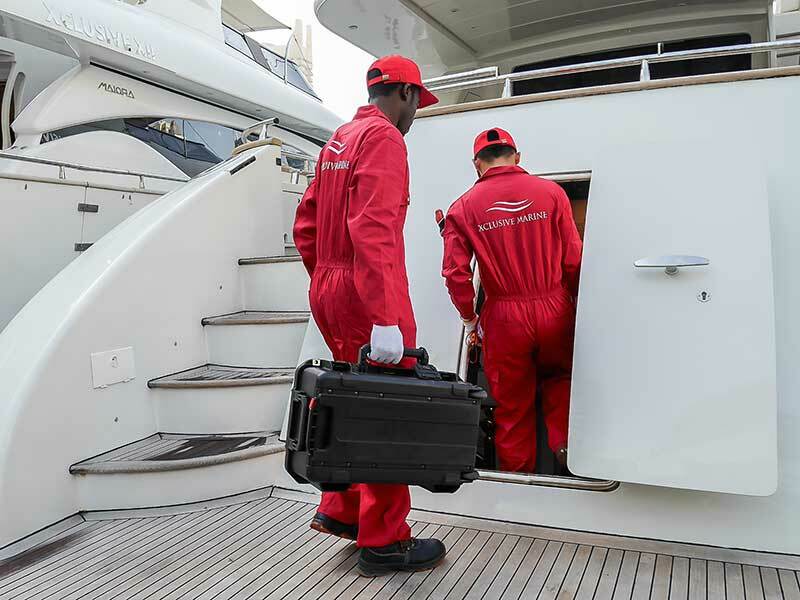 There goes in careful scrutiny while choosing our staff who will be handling your yachts. We only hire high potential candidates who have proven track record in delivering high end results. Our in-house team comprises of experts who are specialized in mechanical, maintenance, repair or detailing works. There will be constant supervision to ensure that the finest of details are taken care of. Our Management team comprises of British industry experts with combined 50+ years knowledge in the yachting & hospitality industry. 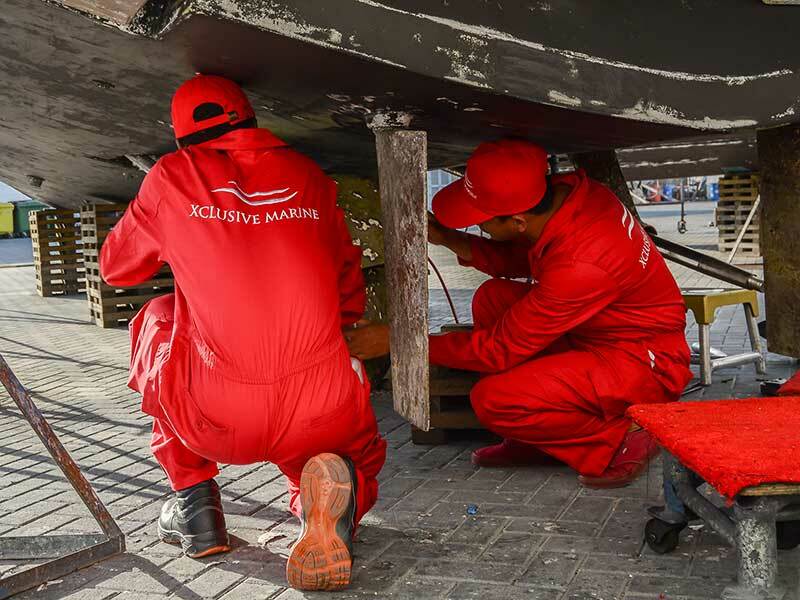 The Xclusive Marine squad comprises of Marine Engineers, Electricians, Mechanics, Plumbers, A/C Mechanics, Welders, Surveyors, Fibreglass Specialists, Painters and Supervisors. Our advisory council can also help you with any related concerns or doubts that you may have to ensure a smooth voyage or tips to maintain the performance of your yachts. We believe in constant innovation and experimenting on technological advancements to carry out each work. This indeed keeps us ahead of any other player in the market. Just believe your yacht in safe and trusted hands! Our team is fully insured and covered with access to all marinas in the UAE.